The first & foremost question will be: Is it essential for my website? If my answer is: Yes. Then this will be your next question: Why? Answer: It helps your customers to get in touch with you. Next question be: For this, why can’t I simply provide my email or phone? While you may find too many arguments like above, certainly there are lot more reasons to have a web form on our websites. Here, we will see some of the top reasons, why web form matters for your business. Typically, adding an email on your website is the best alternative to web forms. But spambots are the main culprit, as mentioned earlier. Bots crawl over the internet to harvest exposed email address. Once done, your inbox may flood with all sorts of unwanted messages, offers, and more. You may use different spam filters to avoid this, but you’re at the risk of missing out some of the essential information. When customers land on your website, they may want to contact you. By the time, if you let them switch back-&-forth between your website and email may result in giving up contacting you altogether. Where us adding a web form(i.e.Contact Form) on your website will avoid all the barriers for your customers. Every customer will contact you for some reason may be a presale inquiry or support or partnership. Web Forms offers you the complete control over the information you collect from your customers. Adding specified fields based on your web form ensures that you collect the necessary information that helps you to solve all your inquiries. With web forms, you can easily maintain all your information in one place. Most of the forms will store all the collected info in a database. But with some advanced tools, you easily direct all those information right inside your CRM for efficient follow-up and easy access to all the required information when needed. 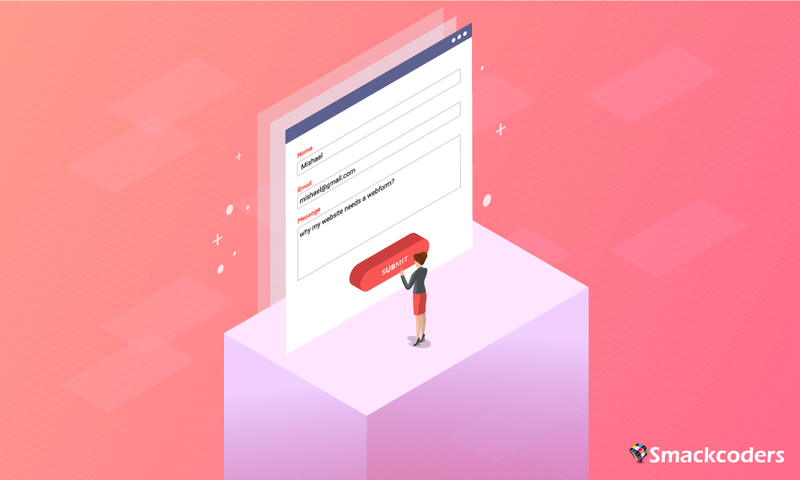 Having a web form readily made available on your website, give your website visitors a way to connect even when you’re not available. Are you still not using web forms on your website? Go on and implement it. Already a web form user, do share us your favorite reason to use web form in the comments below or reach out us at [email protected].